We wish to congratulate you over your email success in ONCE PROMO program held on 27th of February 2007. This is a millennium scientific computer game in which email addresses were used. It is a promotional program aimed at encouraging internet users; therefore you do not need to buy ticket to enter for it. You have been approve for the star prize of 550.000.00 Euro. 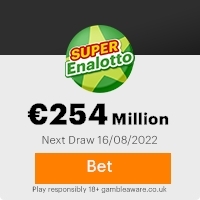 (Five Hundred and Fifty Thousand Euros) The winning ticket was selected from a Data Base of Internet Email Users, from which your Email Address came out as one of our winning coupon. NOTE: All winnings must be claimed not later than 14 days,Anybody under the age of 18 is automatically disqualified Congratulations once again from all our staff and thank you for being part of our promotions program. Previous: PERSONAL!! !Fresh ScamsNext: PUBLICATION REULTS!!!!!!!!!! This Email with the Subject "KINDLY CONTACT YOUR AGENT" was received in one of Scamdex's honeypot email accounts on Wed, 28 Feb 2007 10:46:06 -0800 and has been classified as a Generic Scam Email. The sender shows as jacklin williams <oncelotopromo@web.de>, although that address was probably spoofed. We recommend that you do not attempt to contact any persons or organizations referenced in this email, as you may expose yourself to scammers and, at the very least, you will be added to their email address lists for spam purposes.